We seem to have fast-forwarded Spring, and suddenly here we are in May, but its summer. Today max temperature in the shade 25 degrees C. and this is a generally chilly county. 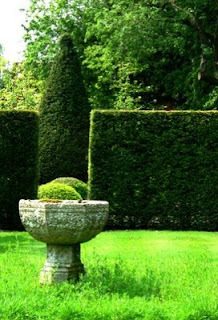 We have just spent a perfect day with Caro and Howie at Wollerton Old Hall, a delightful English garden. The trees bursting into leaf, showing the promise of a new year in bright green foliage.